Just a few people who were yearning for a chance to spread positivity and ignite the fire in difference makers. Founder and President. Australian actor, producer, and musician passionate about giving people a voice. 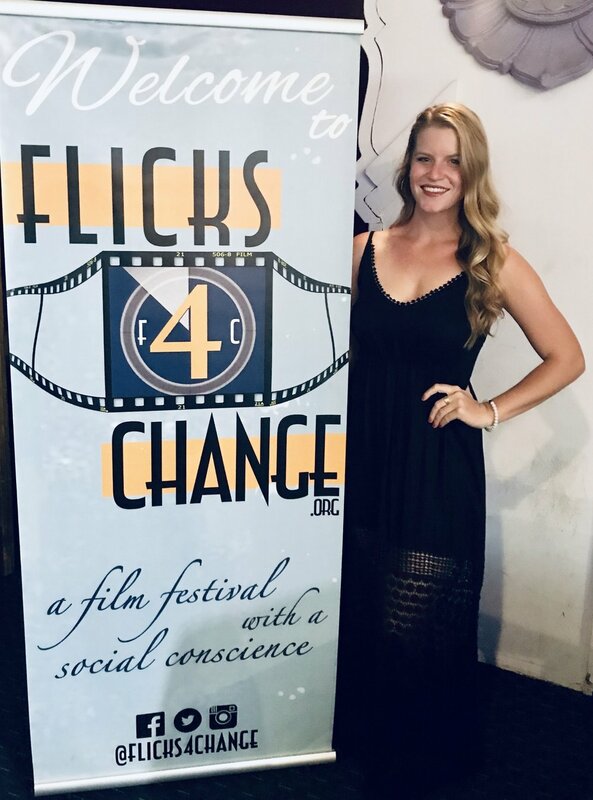 Flicks4Change is the direct result of his strong desire to give back by creating a community for those brave enough to invite the discussion of change into their lives. Co-Founder and Festival Director. An actor, producer and Ironman triathlete, James is also an LA Marathon coach for AIDS Project LA's T2EA charity team. Both a story teller in the film industry, and a coach in the fitness industry, James is always in search of project that makes peoples lives better. Festival Producer. A filmmaker and producer, Kelley brings passion and experience in inspirational storytelling to the F4C team. An advocate for our mission and the arts, she provides unique organizational skills essential to the overall success of our festival. Brazilian Actor, singer and producer in Los Angeles, Lucas does it all to inspire, encourage and motivate the world to reach its full potential. As tech director for Flicks4Change, he brings his knowledge and experience in the tech world to help our festival come to life! VP of Marketing & PR. Founder/CEO of Artisfactions.com and TracySaundersArt.com, Tracy offers visual communications and business development solutions that includes sales, promotions, marketing strategy, advertising, trade shows, PR, media, celebrity and entertainment events, Internet, graphic design, writing, and photography for over 25 years. Tracy combines art & communications with business and social activism to raise awareness for community causes & fundraisers. ‘Art is Fact ions’ is about bringing elements of ideas together to formulate tangible and visionary results for the betterment of all on Earth. Thus, continuing to make a difference with Flicks4Change.org is a natural fit.